NOTE – This is a 17 minute video, but pull your belts down tight, because you WILL be rewarded with LOTS of HOONAGE throughout. You may even learn something IF you can endure the review’ish’ parts. This has been a Public HOONAGE Awareness Announcement brought to you by the crazies at Team Hall & Nass and Motorama LIVE! We got our hands on 2 brand spanking new 2012 Ford Raptors to HOON at will on a specialty offroad course under Ford’s supervision. Then, after showing Ford just how worthy we were in the dirt, they gave us a gently loved 2011 Raptor for two whole weeks (completely unsupervised) with permission to “go do our thing”. You can imagine how much sideways, dirt-filled, insane action followed (can you hear the theme song from the Dukes of Hazzard in your head yet?!? ), and thanks to the magic of YouTube, we’re about to share what we experienced with you! 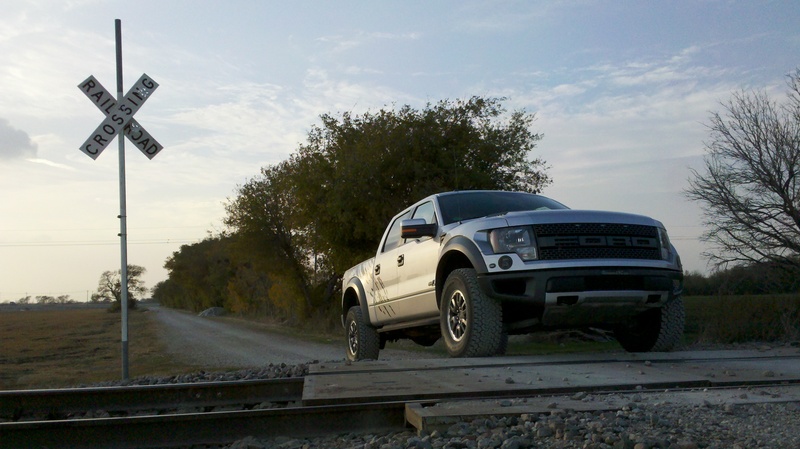 The Raptor surprised us in ways we truly couldn’t have imagined before daily driving it. So if you can bear to make it through the wordy parts (there are actually some surprising things to share with you about the Raptor we bet you didn’t already know), you shall be rewarded with some classic Team Hall & Nass HOONAGE! Thank you to Ford Motor Company for you continued faith in the power of Team Hall & Nass and Motorama LIVE! We appreciate your support! Join us for #Motorama LIVE, the best automotive enthusiast discussion anywhere online, every Wednesday from 9-11 PM Eastern on Twitter. Just search for the #Motorama hashtag and join in the madness!